Poets frequently wrote tribute poems during the black arts era, celebrating historical figures such as Frederick Douglass and Harriet Tubman, musical artists such as Billie Holiday, Miles Davis, and John Coltrane, and fellow poets. 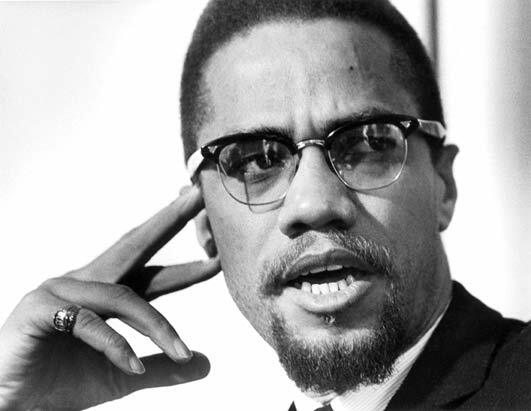 But of all the honorees in 1960s and 1970s poetry, no individual figure was celebrated and revered as much as Malcolm X.
Malcolm was one of the most enduring muses for poets and creative artists working in a number of other genres. Malcolm and his black nationalist visions were pervasive ideas throughout black arts discourse. In fact, the black arts movement began taking shape as a formal movement in response, in part, to Malcolm's tragic death in February 1965. Amiri Baraka, Mari Evans, Larry Neal, Margaret Walker, Robert Hayden, Gwendolyn Brooks, Haki Madhubuti, Johari Amini, Etheridge Knight, and several other poets wrote poems honoring the memory of Malcolm. In their public presentations, poets also regularly adopted a Malcolm-like persona. Writing about and honoring Malcolm also gave militant-minded poets more opportunities to connect literary art with black political discourse. With Malcolm as their muse, black arts poets extended the idea that they were artist-activists.